Electrical vehicle charging protection from Bender Inc.
Bender Inc. has introduced the RCMB121, the newest addition to the line of charge circuit interrupting devices (CCID) providing ground-fault protection to electric vehicle charging stations. The module satisfies the latest international standards for safe charging of electric vehicles (including UL 2231 and SAE J1772) and meets the requirements for ground fault sensors to avoid the inherent danger present where a vehicle battery (DC) is connected to a home power supply (AC). A VAC/Bender CCID integrated into a charging cable (IC-CPD) or EV charger wall box simultaneously monitors all currents in phases and neutral conductors, sensing AC/DC fault currents for total piece of mind. Generally, AC/DC-sensitive ground fault sensors are used where direct current and alternating current circuits are directly connected and therefore AC/DC leakage currents can occur. Ground fault currents can be caused by insulation faults such as defective cable insulation, and in the worst cases users can suffer a dangerous electric shock. AC-only capable ground fault current breakers are usually installed in private households to identify and deactivate AC currents, but they cannot effectively handle DC fault currents. 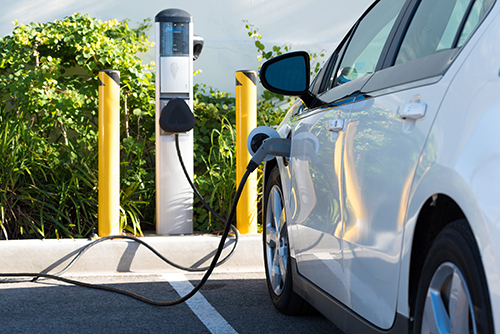 When an electric vehicle is being charged from a home power supply, a more costly AC/DC-capable ground fault current breaker would be required in the event of a DC fault current. Customers can realize all-current sensitivity and maximize electrical safety with the VAC/Bender CCID integrated into a cable (IC-CPD) or EV charger wall box. The device simultaneously monitors all currents in phases and neutral conductors sensing AC/DC fault currents. The CCID sensors activate automatic shut-off in the event of electrical faults. The ground fault currents monitored occur only in the event of electrical faults and are extremely low (mA), so precise measurement is critical. The ultra-fast response time of the Bender sensor is also essential to maintain safety features. Curves for powering down are adjusted in the different versions to suit the requirements of each national or international standard or regulating authority.